Pennsylvania’s new congressional district map has upended the race to succeed U.S. Rep. and longtime Philadelphia Democratic Party boss Bob Brady. When the Pennsylvania Supreme Court imposed a new congressional district map on Monday, the closely watched race to succeed Philadelphia's longtime Democratic Party boss in the U.S. House was thrown into chaos. The new map also cost the city a large chunk of one of its three congressional seats, on a day when Democrats across the state were celebrating a much more favorable political landscape for their party. 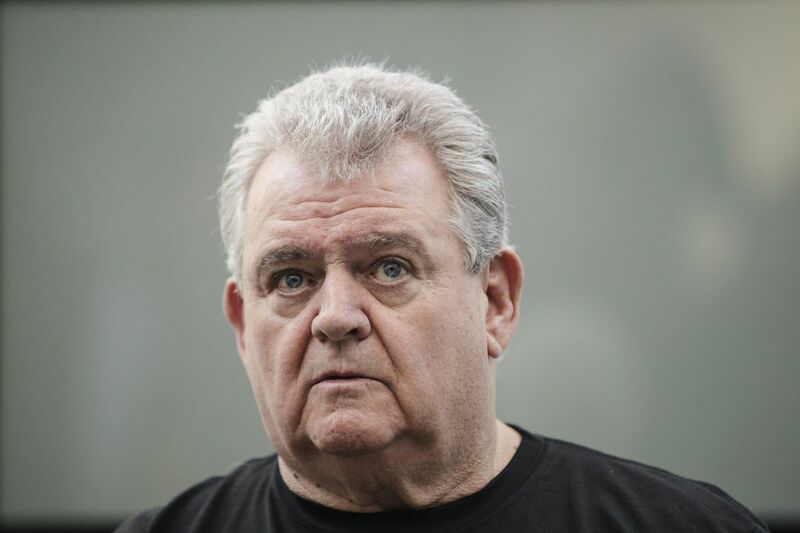 U.S. Rep. Bob Brady, chairman of the Democratic City Committee, announced last month that he would not run for reelection after serving in the House for 20 years. That set the stage for an expensive, crowded primary for a rare open congressional seat. Under the new map, though, Brady's First District is no longer based in Philadelphia — and the two seats that remain firmly in the city are home to Democratic incumbents. Another district, the new Fifth, encompasses parts of South Philly, but is mostly situated in Delaware County. Now, the candidates for Brady's seat face a difficult decision: They can drop out, run against an incumbent, or take a stab at campaigning in the Fifth District. At least five Democrats had already launched campaigns for Brady's seat. Another candidate with ties to the city's powerful Electricians union, Richard Lazer, planned to launch his bid for the seat in the next week or so. Lazer, a longtime aide to Mayor Kenney, resigned on Friday in anticipation of running in the First District, sources said. Political observers expected the well-funded Electricians union and its leader, John "Johnny Doc" Dougherty, to back Lazer. On Monday evening, the South Philly resident appeared to be preparing to run in the newly configured Fifth District. "The people in the newly drawn district are the same hard-working people I grew up with, who want better lives for themselves and their children," he said in a statement. "I have the experience and drive to run a winning campaign." That could lead to a nasty political battle between South Philly Democrats and their counterparts in Delaware County. David Landau, leader of Delaware County's Democratic Party, said the new Fifth District is "a Delaware County seat, and we believe someone from Delaware County should represent it." The Electricians union had $5.5 million in its political action committee heading into 2018. Another candidate who had challenged Brady jumped into a new race altogether. Willie Singletary, a former Traffic Court judge found guilty of lying to the FBI, said he would run against incumbent Rep. Dwight Evans, who lives in the newly configured Third. "Our city needs a fresh perspective," said Singletary. "You don't wear the same eyeglasses you wore 10 years ago. You don't sleep on the same sheets as you did 10 years ago. You don't even keep the same laptop from five years ago." Another declared candidate, Nina Ahmad, a former deputy mayor under Mayor Kenney who had been critical of Brady, said she would review the new map "and what it means for the area" before deciding her next steps. Ahmad had about $560,000 in her campaign account as of Dec. 31. Some candidates weren't even sure which district they lived in under the new map. Kevin Johnson did not respond to repeated requests for comment. A spokesman for Michele Lawrence said she was running for Congress but didn't specify in which district. Both candidates had launched bids for Brady's seat.